There is nothing like welcoming Spring on Prince Edward Island. With the return of the birds, we publish the thirteen stories, poems and interviews that we have been working on for the last month and a half. The issue is called Winter, but at this point, all roads lead to Spring. I can’t tell you what a privilege it is to be the Editor of Cargo Literary. Ever since we published our very first issue, three years ago, it has been an honour to work with your words, your art, and the ever-flowing litany of inspirations that comes as we humans move about the globe. It is a tough time to be a travel writer, with our thoughts and emotions so delicately balanced on the worlds we tread with love and respect. At Cargo we highlight both interior journeys and human connections, and this issue I am proud to bring you more of these connections. Thank you to Jenna Kunze, our travel journalist and photographer who so generously donated her work for our twelfth cover. Read more about her work in our About Cover 12 blog post. More in Photography, we bring you the haunted images of Enrico Doria with Esprits, and the urban street love of Thomas Gillaspy in Unexpected Places. The complimentary arts of Leah Oates fall somewhere in the middle in her collection, Transitory Space. 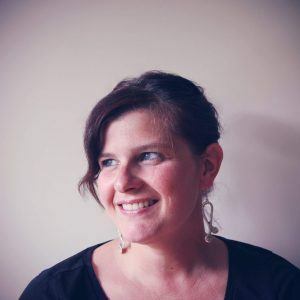 We are pleased to feature an interview with Jennifer Bain of O’Canadiana, and the Travel Editor of The Toronto Star. I had initially approached Ms. Bain in the fall and am so glad that this interview came to fruition! You will find yourself riding chatting buffalo cookbooks from her Alberta ranch to imagining yourself up north on the ice floes of Nunavut. In creative nonfiction, we bring you Margaret Foley’s Vienna story The Fowl Executioner, Matt Broomfield’s A dereliction: Skipping stones into the aegean sea, and Roberto Loiderman’s Keeper of Memory about his mother in law’s return to Poland after World War II. Francesca Pierini’s Taipei: A View from Singapore and Randy Appell Johnson’s Korean Escape will both resonate with those who teach abroad. In Bab Al-Yemen, follow Dawn Chapman around the streets of Sana. In poetry, two offerings: Victoria Crawford of Chiang Mai, Thailand in Golden Chandeliers and Ruby Rae Scalera’s assist in Packing Light. Please enjoy reading this issue as much as I have in putting it together. I love to read your submissions each month and please keep them coming! All the best from the red mud of P.E.I. 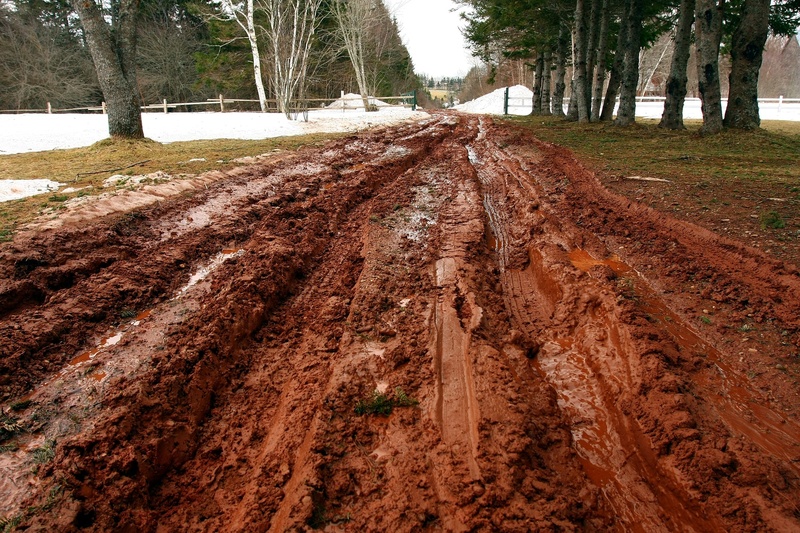 Entry image by PEI photographer Martin Cathrae,  called "Muddy Road"